Crackled Silver. This handcrafted ready made wood picture frame has a classic decorative profile embellished with fine relief detail and distinctive ornate sculpted corners. 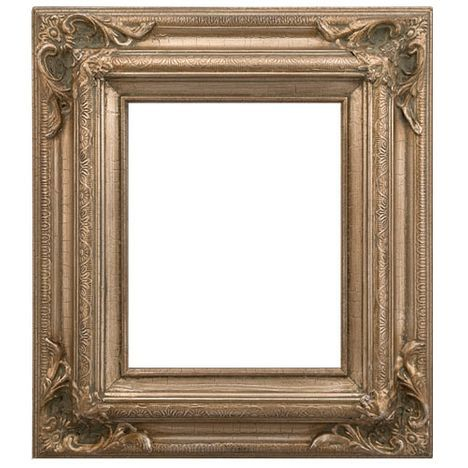 This warm silver picture frame has been antiqued with touches of patina and a cultivated, distressed effect. Choose frame size. Shipping is $16 for US customers.